ELSS is an open-ended equity mutual fund that not only provides tax saving but also gives an opportunity to the investor to grow money. Conversely, PPF refers to a type of Provident fund, which can be opened by any salaried or non-salaried person to park their money so as to reduce the tax burden. One of the major concerns of all the taxpayers is to reduce the tax liability as much as possible. And for this purpose, they take recourse of various deductions under the Income-tax Act, 1961. Under section 80 C the maximum amount of deduction allowable to an assessee in a financial year is Rs. 1,50,000. To avail this deduction the assessee needs to invest some amount in funds/schemes like LIC, PPF, Bank Fixed Deposit and ELSS. Of these investment avenues, PPF and ELSS are considered as the most efficient tax saving schemes. So, here we are going to discuss their differences, take a look. Meaning ELSS is a diversified equity mutual fund, in which money can be invested for a fixed term to reduce tax burden. PPF is a long term savings instrument, that not only provides old-age income security to people, but also reduces their tax liability. Money Invested in equities. Invested in government bonds or securities. Benefit to assessee The investment can be made on own name only. The account can be opened on own name, or his/her spouse or child. ELSS or commonly called as Equity Linked Savings Scheme is a diversified equity mutual fund, which is a tax-deductible investment under section 80 C of the Income Tax Act, 1961. The scheme is a two-in-one offer for the investor, in the sense that the depositor not only gets capital appreciation but also gets tax benefits. The minimum lock-in period of ELSS is three years from the date when the investment is made. The investment can either be made in one shot, i.e. lump sum or using the SIP (systematic investment plan) route. It has both dividend and growth options, wherein the dividend option entitles the investor to receive regular dividend income every year, whenever declared. On the other hand, in growth option, the investor gets a lump sum amount when the investment is matured. While making an investment in an ELSS, the investor must research the performance of the ELSS in the long run and other details like expense ratio, permanency of the fund, portfolio, fund manager’s approach related to the investment and so forth. Public Provident Fund, shortly known as PPF is a Central Government run scheme, initiated under Public Provident Fund Act, 1968. A PPF is a long-term investment avenue that can be used by all kinds of investors. The funds of the investors are invested in government or corporate bonds and securities. So, they have a fixed rate of interest which is announced by the Union Government during the budget. It is also free from any market risk. Further, it attracts tax benefit, i.e. the amount deposited in PPF is an allowable deduction under section 80 C of the Income Tax Act, 1961 and so the assessees can save tax up to Rs. 1,50,000. A person can deposit money in a PPF account via cheque, cash, demand draft, NEFT or any other deposit mode, either in a lump sum or in 12 instalments. In a PPF, the amount is locked in for a period of 15 years and the amount standing in the credit of the account can be withdrawn. The depositor is allowed to make partial withdrawals after completion of the sixth year. The subscriber can continue the account even after 15 years by further extending for a block of 5 years and during that term, the subscriber can make one withdrawal per year. ELSS or Equity Linked Savings Scheme is an equity mutual fund, in which the investor can invest a specified sum either in the lump sum or in SIP for a fixed term. 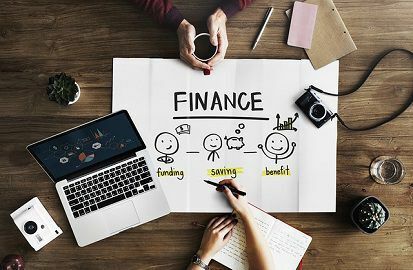 On the other extreme, PPF or Public Provident Fund, as the name suggests, is a type or provident fund, that can be opened by any person, to save their money for a long term. In ELSS, the investor’s money is invested by the fund manager in equity shares of various companies. Conversely, in a PPF, money is invested by the bank in government or corporate bonds or securities. As ELSS is linked to market ups and downs the risk involved is high. In contrast, as PPF is backed by the government, the risk is comparatively lower. The lock-in period in case of an ELSS is 3 years and so the investor is not allowed to withdraw money for the stipulated term. As against, in PPF the amount is deposited for a fixed term of 15 years. Of these 15 years, the subscriber of the account cannot withdraw money for first five years, after which partial withdrawals are allowed. The returns of an ELSS are based on the performance of the equity markets, so it is generally higher than other types of investment avenues. Unlike, PPF returns are usually fixed by the Central Government during the budget. The minimum amount to be deposited in a PPF account is Rs. 500, and the maximum amount is Rs. 1,50,000. As opposed, ELSS can be started with a minimum amount of Rs. 500, whereas there is no limit on the maximum amount. ELSS benefit can be allowed only when the investment is made in the name of the assessee. However, in case of joint holding, the first investor should be the assessee. On the contrary, in case of investment in PPF, the PPF account can be opened in the assessee’s own name, or his/her spouse’s name or his/her child’s name. After a deep discussion on the two schemes, it is quite obvious that one should go for PPF when he/she wants to invest a large amount of money for a long period as it is a risk-averse fund. Conversely, a person can opt to invest in ELSS when the amount to be invested is less and the investment is to be made for a short period. In short, your investment avenue will be based on what you expect from the investment and the amount of risk you are ready to bear.